The Serrated Black Knuckle Saver Knife is a modern stealth twist on the knife made famous in the trenches of war, taking its inspiration from the 1918 Mark I trench knife. 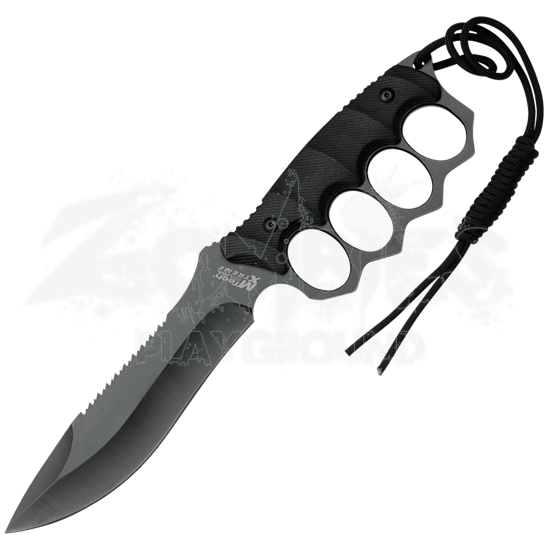 This variant includes a black, stainless steel, clip point blade with serrations. The handle is G10 and includes a stainless steel knuckle guard grip as well as a lanyard, so this knife will not be lost easily. This fixed blade knife also includes a black nylon sheath for easy carrying and storage. 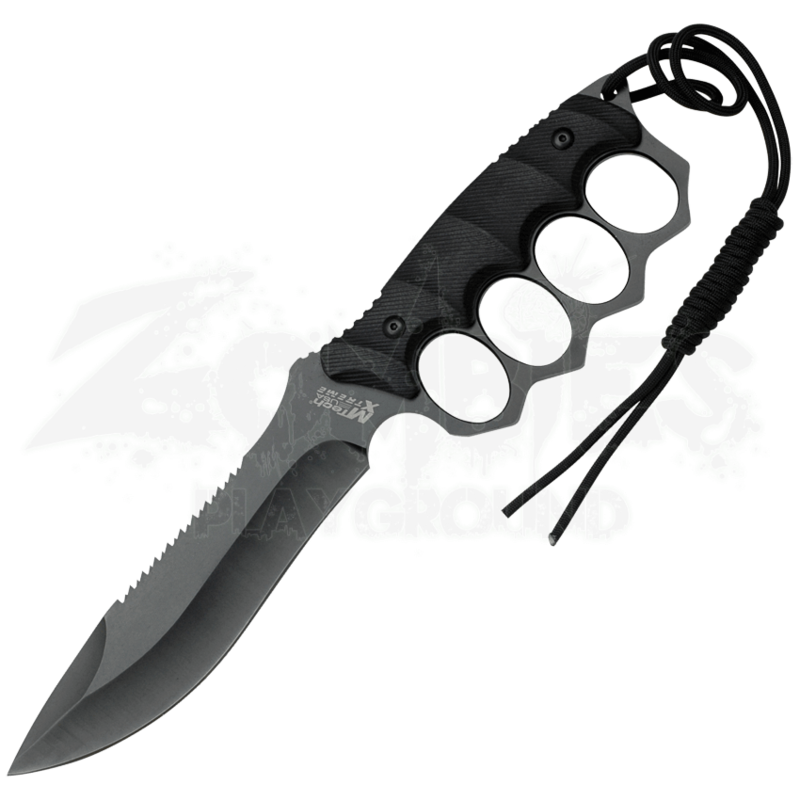 Get the Serrated Black Knuckle Saver Knife today for an update on a classic weapon of war.